If you wish to build a house according to your own drawings or find yourself a builder, who can also provide architect’s services in addition to those of a constructor, you should definitely contact us. Seve Ehituse AS cooperates with more than ten architecture firms and architects from Estonia, Norway and Switzerland, and constructs houses on the basis of the client’s drawings. 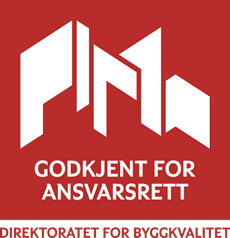 Since 1995, we have produced and built more than 500 houses with a special project in Estonia, Norway, Sweden, Finland and Switzerland. Seve Ehituse AS has placed great emphasis on developing its engineering capabilities. 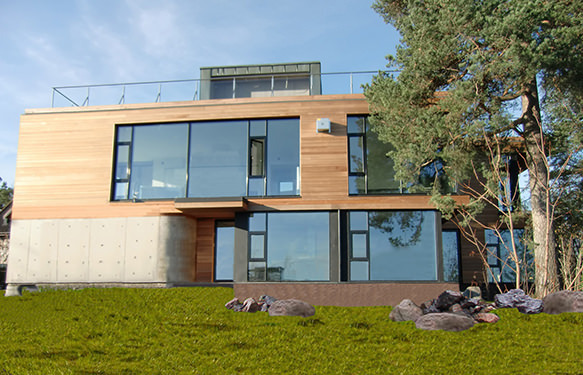 Seve Ehituse AS employs altogether 18 persons with the education of an engineer or architect which is one of the best indicators in the timber house production sector of Estonia. 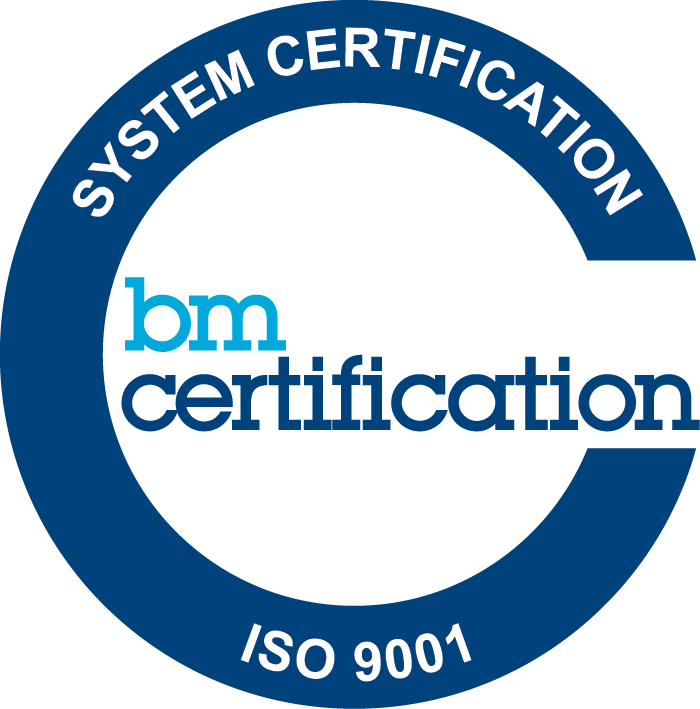 As we have people with engineering education in all the work stages from sales to finishing, we are capable of offering professional solutions from beginning to end. We can also evaluate the total cost of special projects already in the sales stage, provide the client with the prices of possible engineering solutions for their special project and find the best possible combination of the client’s wishes and the construction work cost. If you have your own drawings, send them to us for a price enquiry or register for a consultation of our professionals. If you still have doubts about our capabilities, please find below a list of some of our most complex special projects. A luxury villa in Norway near Oslo in the town of Lillestrøm. Built in 2010. The house has large open spans, the facade is constructed of cedar wood profiles with four different lengths and on the first floor the garage has a decorative monolithic concrete wall on top of the external wall. A luxury villa in Norway in the town of Bodo. Built in 2009. The house does not have any load-bearing walls that are located directly above one another from the first up to the third floor. The third floor of the house has been built on laminated timber frames and is fully open (the height of the storey from the floor to the ridge is 5.5 m). Part of the house’s roof is made from glass and the cantilever balcony located at one end of the house has a Jacuzzi for six people. 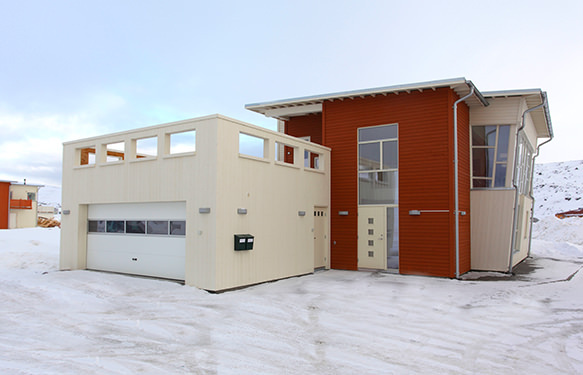 A luxury villa in the town of Hammerfest in Norway. Built in 2014. The second floor of the house is partially cantilever, and one of the external walls and large windows have a slope. 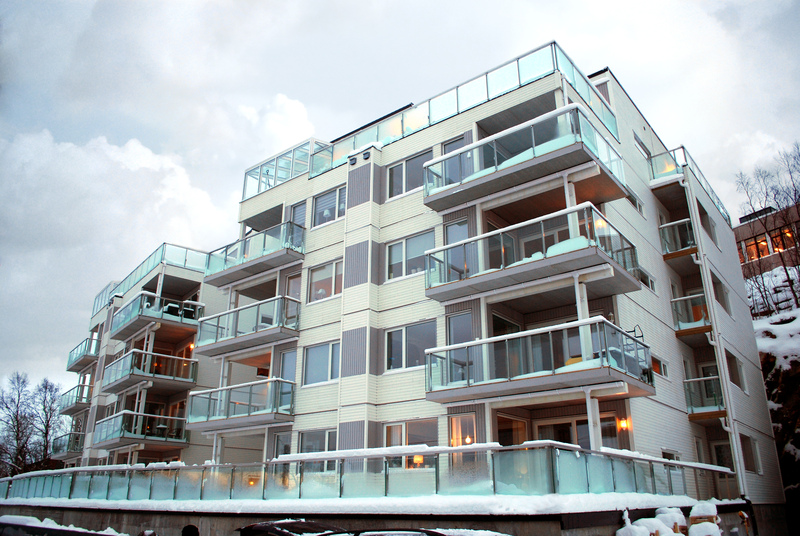 A five-storey apartment building in the town of Narvik. All the bearing constructions are made from timber. 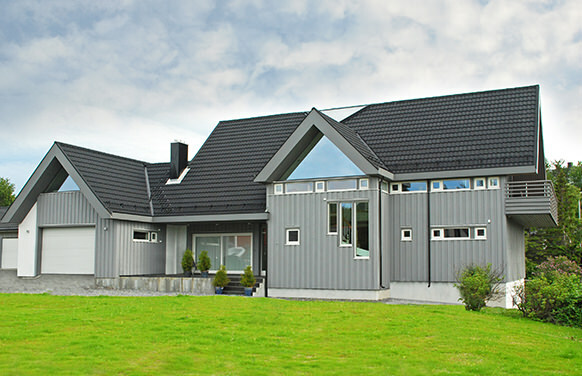 A semi-detached house with three apartments in Norway in the village of Hitra. Built in 2013/2014. 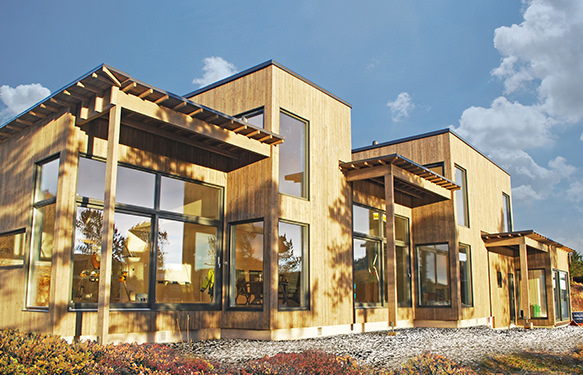 The facade is constructed from timber with four different lengths. It has open ridges. The ventilation of the lower roofs have been built through the parapets located one floor above. 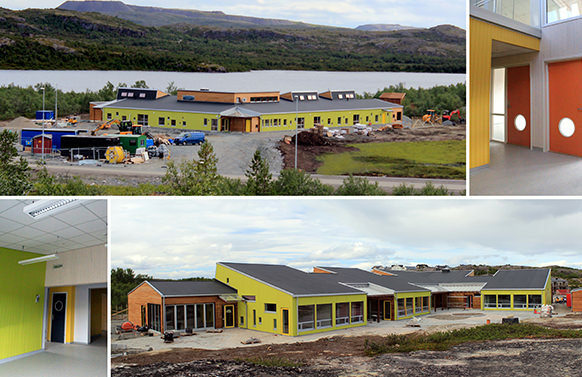 A kindergarten in Norway in the town of Kirkenes. All the bearing constructions are made from timber. Glass awnings. 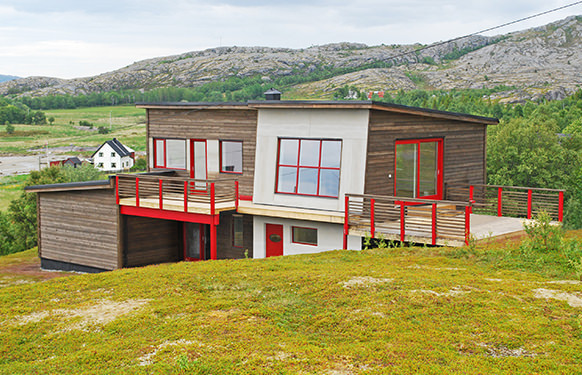 Low-energy house according to the Norwegian standard NS 3700. Built in 2013. 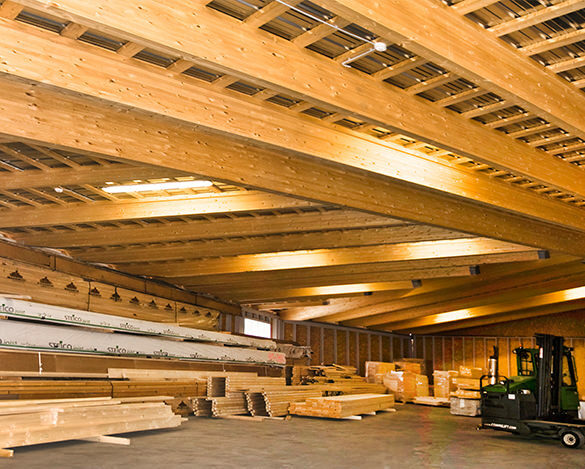 The lumber yard of Seve Ehituse AS. Very large open ridges with timber beams. Constructed in 2014.